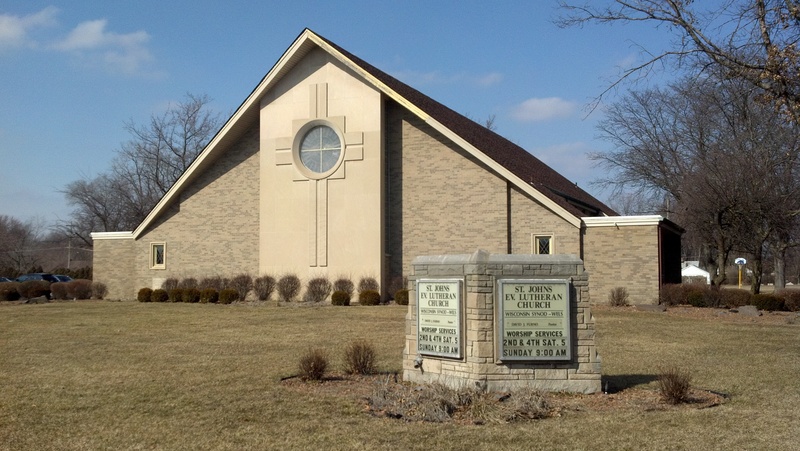 This congregation dates back to 1876, and originated in Wayne, Michigan, the neighboring city to its current home — and home for decades — Westland. 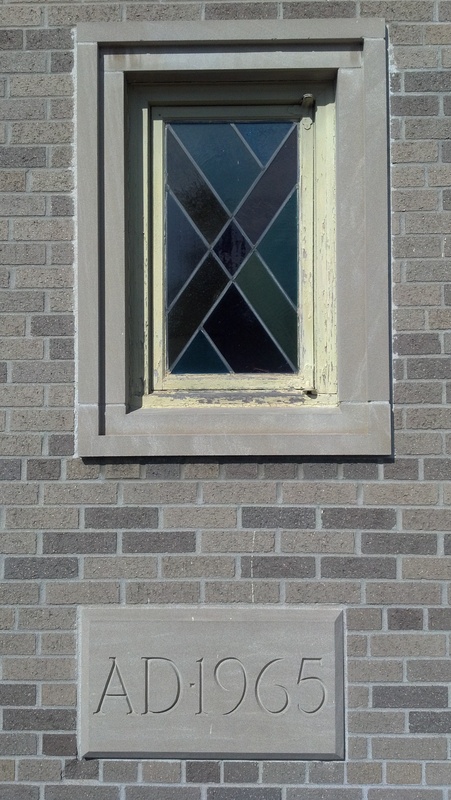 The church and school straddle the Wayne-Westland border. I grew up less than 2 miles from this church and drove or rode by it dozens of times. But I hardly ever noticed it was there (in plain sight.) The school, which is around the corner, stands out — or at least stood out to me. 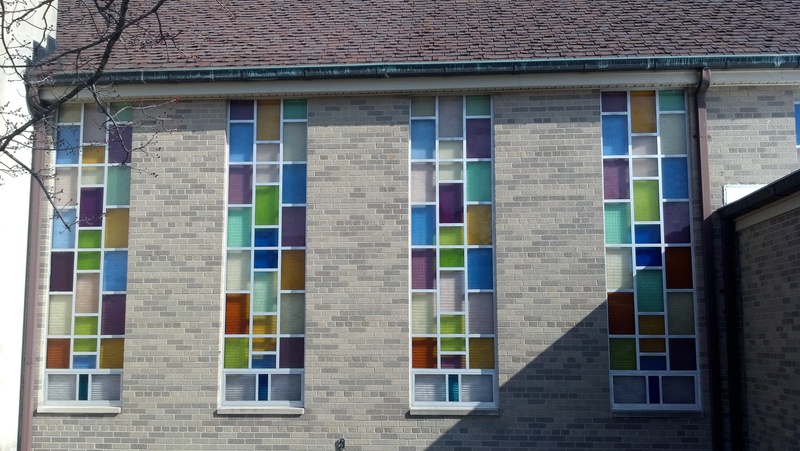 St. John’s, a Wisconsin Evangelical Lutheran Synod church, seems to be moving in the direction of evangelicalism in general, i.e. contemporary worship, peeling back formality in liturgy, attempting to make church dynamic and fun, and otherwise keep people’s short attention spans. For a traditionalist like me, I like that this church, like my own, has both “traditional” and “contemporary” services, rather than doing away, altogether, with the traditional stuff. 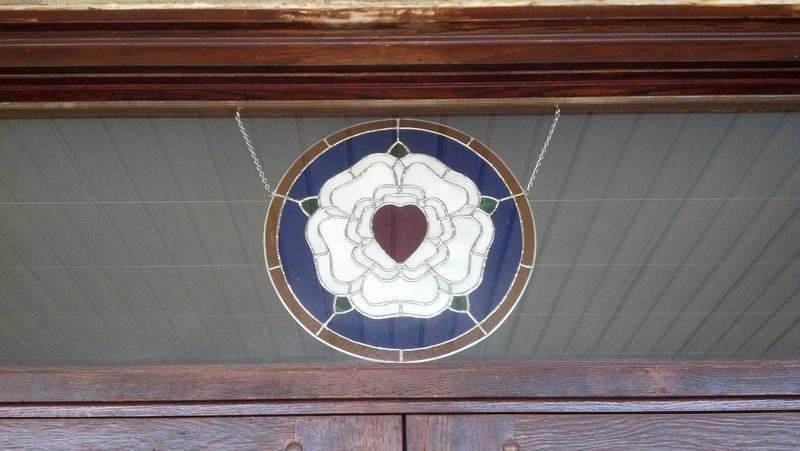 St. John’s traces its founding back to June 4, 1876 in Wayne. 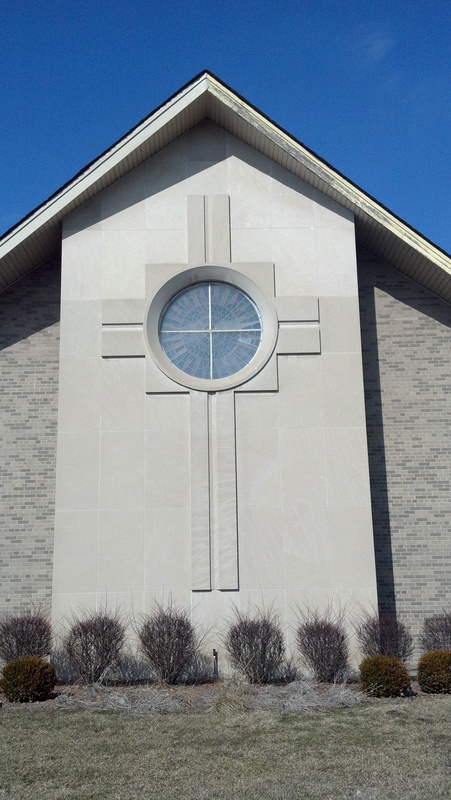 The current church in Westland on Glenwood Road began as a new location just for the school on Wayne Road in 1950. 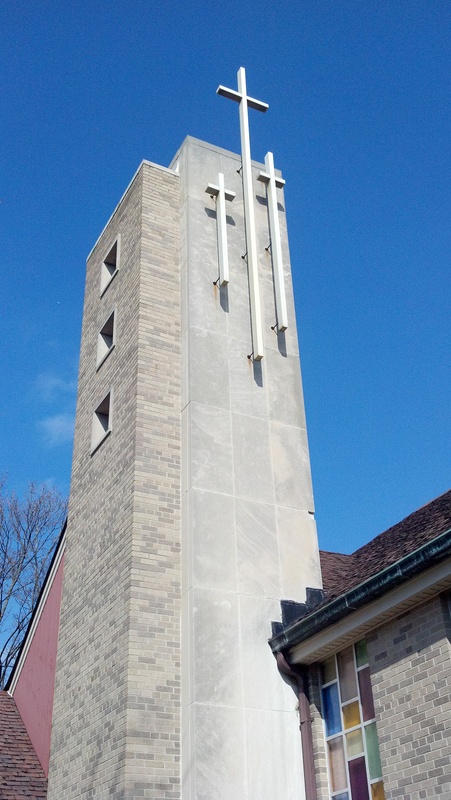 St. John’s church was dedicated on February 12, 1967 together with additions to the school, notably the Parish Hall/ Gymnasium, kitchen and conference room. The last building project in Westland began in 1977 with the addition of four classrooms and a music room.We welcome you to come and grow with us in Christ as a part of the St. John’s community! Read on for more information on our ministry. Although it is not an old building, I liked it. What I liked, aesthetically, more than the building was the sunlight and amazing blue sky when I took photos of the place. Normally, a day in late February would be cold, gray and maybe even damp. But, unless you missed the dormant, khaki-colored grass on the property, you’d think these pictures were taken on a nice day in May. The shots aren’t bad for a mobile phone.